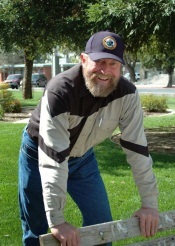 Gary J. Evans is a 4th generation life-long resident of Colusa County. After graduating from Maxwell High School, he worked for the USDA Forest Service in fire management for 12 years. He then started a small sawmill, logging and contracting business in 1979 that he continues to operate in the Colusa and Glenn County areas. Supervisor Evans has been an active member of the Colusa County Community for over 25 years. He has served on the Board of the local cemetery district, recreation district, local landowner groups, regional agriculture related boards, committees, and he is currently president of the Colusa County Resource Conservation District. He has personally introduced and coordinated a variety of projects within Colusa County that have included County, State, Federal Agencies and multiple private landowners working toward common goals with a positive “we’re all in this together” attitude.